We spend the day exploring Addis Ababa. After Breakfast, we drive to the Entoto Mountain (3300m) for a panoramic view of Addis, Entoto Museum with historical and royal exhibit, The Church of St. Mary, built in 1885 and the old palace of emperor Menelik II. Take some images of Addis Ababa and trek the surroundings at Mount Entoto then back to Addis Ababa. Overnight at chosen hotel –Addis abeba. Drive to the cave church called Yimrahine Kirstos (42 km from Lalibela). The murals on the walls of the church, and the forest around are very impressive and worthy to be visited. Visit the church and proceed to Mekelle via Korem. Drive from Mekelle via Berahile to Hammed /Ahmed Ela. After the small town of Agula; we descend to the Afar Region. 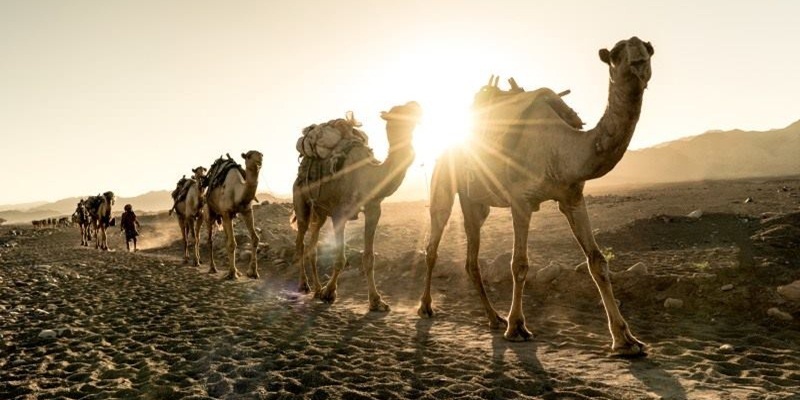 At many spots on the way; you will see camel caravans, transporting rock salt from Lake Asalé to the town of Mekelle. Entrance tickets will be collected at the small town of Berahile (110km from Mekelle). Then proceed towards Hammed Ela; accompanying with Afar polices and a local guide from Berahile. Morning; drive from Hammed Ela towards Arte Ale (78km road) via Kursewat. After arranging camel/s for Arte Ale Mountain, drive to Waydodom and then climb Arta Ale accompanying with camping gears, being loaded by Afar Camel (3-4hrs walk). 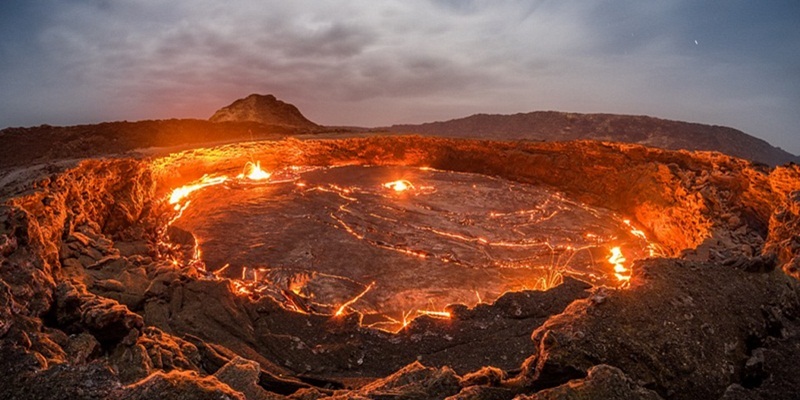 After siesta, explore the extraordinary lava that babbles from its mouth of Arte Ale volcanic fire. During night time the volcano will be fully seen with its magnificent color of zigzagging fire, produced from huge rocks. Therefore; in the evening, we will descend from Camping site to the drama of the volcano. Drive from Mekelle to Axum. 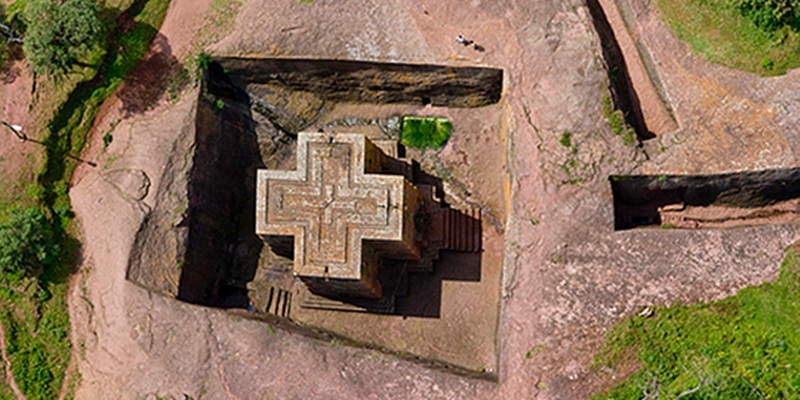 On the way, explore oldest rock churches of Wukro Cherkos, Abreha-We-Atsbeha, Degum Silassie, Debre Damo (climb aiding by a rope), and the 5th century B.C Pre-Christian Temple of Yeha. Axum reserves the ancient Ethiopian history that includes: the archaeological museum, monolithic steles, the tombs of King Kaleb, and the legendary Bath and the ruins of ancient palace of the Queen of Sheba, St Mary of Zion and the sanctuary that houses the original Ark of the Covenant and Emperor Fassiladas’ Castle of Axum. Drive from Axum to Simien Mountains (Chennek Camping Site). On this day, you will appreciate the extremely fabulous Simien Mountains’ escarpments. Arrive to Debark and collect entrance tickets at the Simien Mountains head office then drive to Chennek (57km from Debark). Explore Gelada Baboons at several spots & Walia Ibex nearby Chennek Camping Site (both endemic animals). Morning, explore the park around Chennek for the walia Ibex and some antelopes, afternoon; drive to Gondar. On the way near the town of Gondar; short visit of Woleka – a place of the Felasha or the black Jewish people for their pottery shop. 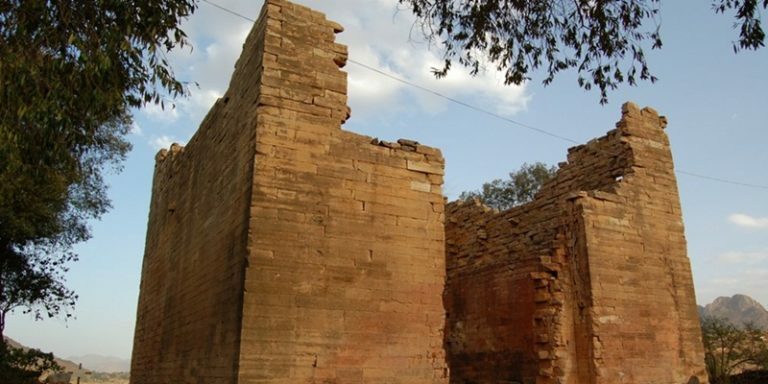 After breakfast; visit the Castles of emperor Fassiladas and his swimming pool, the 17century church of Debre Birhan Sillassie (Light of Trinity) & drive to Bahir Dar (187kms). on the way; visit Awra Amba Community. Awara Aba people are famous in their unique work philosophy in action and social life. They do not have work division and salary or wage difference. What they do all together, they do share it evenly. Also visit the Bezawit Hill tops and the palace of Emperor Haile Selassie. Near Bahir Dar. Morning; take a chartered boat trip on Lake Tana to visit monasteries (constructed during 14 up to 18 century). You will visit only the most accessible and representative of the monasteries on the lake, still serving their original function: Ura Kidane Mehret, and Azwa Maryam (in Zeghie Peninsula), Kibran Church (prohibited for women) & Entos Eyesus. After lunch drive to the small town of Tiss Abay (32km rough road) to visit the impressive Blue Nile Fall and to see the Old Portuguese Bridge (17Century) and the country side. After an early breakfast; drive to Addis (563km), this route (Gojjam province) is famous in Teff production. Teff is stable food of Ethiopians. 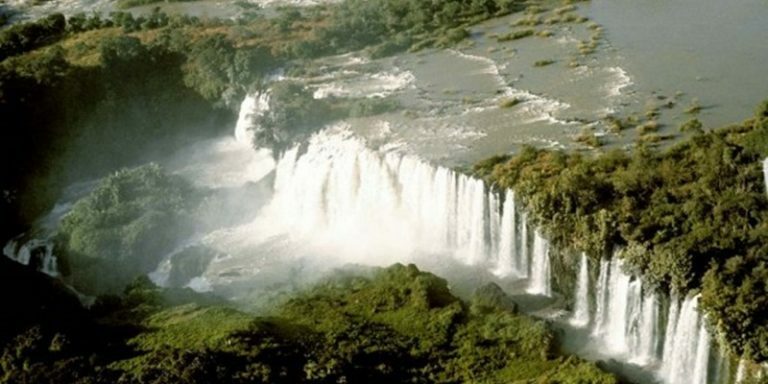 On the way; enjoy with the fabulous Blue Nile Gorge and the 13th Century monastery of Debre Libanos. Shopping at merkato evening farewell party then depart.